Computer repair question: How do I stop my computer overheating? 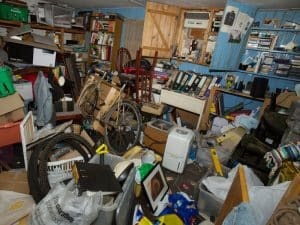 You are here: Home / Computer Repair / Computer repair question of the week: How do I stop my computer overheating? There is something in the law of thermodynamics that says energy conversion generates heat. Now I’m no scientist but I can attest to the accuracy of this. Computers get hot. That heat is a direct result of the conversion of electricity into action within the components of your computer. So how do you stop a computer overheating? Our computer repair team is here to tell you how. Most parts of a computer generate heat. RAM generates a small amount of heat, a processor generates a lot of heat and a graphics card can generate even more than that when under load. The processor and graphics card some with their own heatsink and fans which help keep them cool but it isn’t always enough. We see a lot of computer repair jobs where a computer has overheated. Usually the processor overheats and burns out or the graphics card burns out. Motherboards and RAM can too but are less susceptible to burning out. It is an expensive fix but one that is entirely preventable. There are two aspects to preventing overheating. Maximizing the potential of the cooling you already have and upgrading parts to increase that potential. Unless you have invested in passively cooled components, your computer will have several fans inside. You will likely have one or two case fans to draw air in and push it out back. You will also have a CPU fan and heatsink to keep your processor cool. You will also likely have a graphics card fan and heatsink to keep it cool. To maximize cooling, you need to do two things. Keep your fans dust and dirt free and make sure air can circulate around your computer. Air contains particles of dirt and dust which accumulate over time. The same way you dust your home to keep it looking nice, you need to dust your computer to keep it running cool. 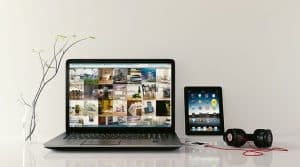 You don’t have to dust a computer as often as your home but you do need to dust it every couple of months or so. Dust compromises cooling because it blocks air ducts, slows fans down and prevents heat sinks from working at their full potential. Duct retains heat, so any dust on a heat sink keeps it warmer than it should be which can be a problem. Take the case off of your computer while powered off and take a look at the fans. They will likely be covered in dust. You will also likely see a covering of dust throughout your computer. We need to remove as much of it as possible. Use a clean cloth and carefully remove as much dust from the fan blades and heatsinks as possible. If you can, use a can of compressed air to blow dust off the motherboard and out of the computer as much as possible. Compressed air is available in DIY and computer stores for not a lot of money. It is an investment worth making. Once the dust is gone, take a look at how your computer is laid out. Are cables in the way of the case fans? Can they be safely moved so air can flow better around the computer case? Anything between the intake fan at the front and exhaust fan at the rear can compromise airflow. If it is possible to move cables out of the way without bending them in awkward positions or causing them to come loose move them out of the way. Cooling upgrades are one of the best things you can buy for a computer. Depending on the type of computer you have and your level of experience you have two choices. You can upgrade your air cooling by replacing the fans you have or you can invest in water cooling. I won’t cover water cooling here as it is an involved subject. Instead I will concentrate on upgrading air cooling. Look in any computer store or on any computer website and you will see hundreds of aftermarket PC cooling parts. You can spend as little as a few dollars or a few hundred on just cooling. I always advocate spending clever rather than spending big and PC cooling is no different. Air cooling upgrades usually include larger case fans or larger CPU heatsinks and fans. These improve their ability to dissipate heat, lowering the overall temperature of your computer. Graphics cards also have upgradeable cooling that involve a replacement heatsink and fan too but are more complicated to fit. Before buying any new component, you have to check the available space within your computer case. CPU fans and heatsinks come in a huge a variety of sizes and not all will fit all computers.. The socket type of your CPU. The available height from the socket to the size of your computer case. How much space is available between your RAM and the CPU socket. Some heatsinks are huge and require a lot more space than the stock one. That’s why you need to know the socket type and how much space you have to play with. Some will be much wider at the base which will encroach on where the RAM sits on a typical motherboard. Many will be larger in dimension to offer better cooling, which is why you need to know how much space you have. Just get your measuring tape out and note down the space you have to use. You will also need to know what size case fans your computer case can handle as they also come in a variety of sizes. Adding an extra intake and exhaust fan if you have room is a cheap way to upgrade your cooling. By adding two extra case fans, you can improve air flow in your computer from as little as $20. That is money well spent! Upgrading or adding case fans alone will help keep your computer cool. Combine it with an upgraded CPU heatsink and fan and your computer should remain cool and calm whatever you ask of it. Cooling is a vital part of computing. Our computer repair team have seen all manner of avoidable issues as a result of poor cooling and we would like to see the end of these types of repair calls. Keep your fans clean, keep air flowing and you should be fine. 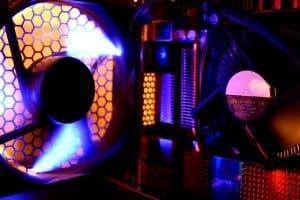 If you want to upgrade your air cooling, go ahead as it is one of the best investments you can make in your computer. If you need help specifying cooling parts for your computer, call us here at Dave’s Computers. We would be happy to help! Previous Post: « Did you celebrate World Backup Day?